There are 5 things school leaders must do now to balance the weight of all the duties and responsibilities of running a school. Balance between work and life is difficult for most people. However, today I'm discussing the balance of all the responsibilities found in the school system. 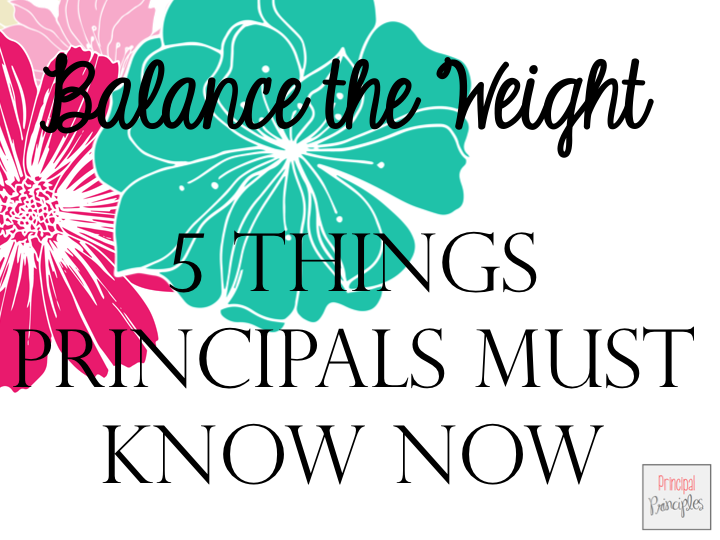 How does a principal balance all the duties and responsibilities on a day-to-day basis? 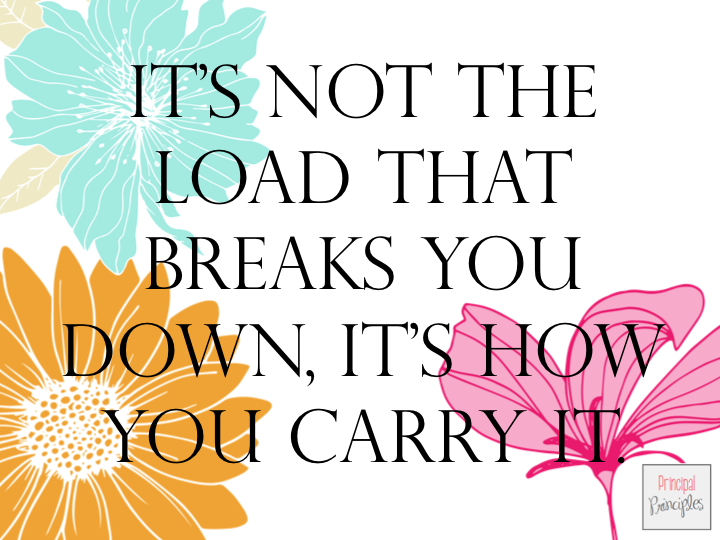 It's not the load that breaks you down, it's the way you carry it! First of all, I'm not here to tell you I have it all figured out nor tell you it is easy. Being a principal has been rewarding but also one of the most difficult career choices too. Most people in principal positions don't become outstanding leaders overnight. We learn to lead over time. We must learn how to work with difficult people. Learn to make a decision at the drop of a hat. Learn to manage and oversee all functions of the school. Let to motivate and inspire teachers and students. The list goes on and on. All of these and many more can be a heavy weight to carry each day. However, if I had to give you some tips and advice on how to carry the weight of the school, I would start with these five. 1. 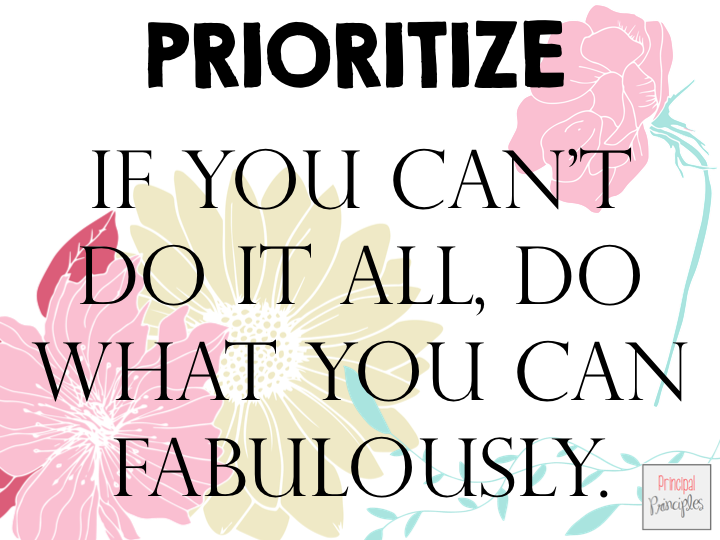 Prioritize- As a principal, you will get called 24/7 about everything! Toilet overflowing, a dog is on the playground, an angry upset parent is on the phone, meetings to attend, fundraisers to plan, assessments to administer, etc... Even though I have a minute-to-minute calendar on my desk, it does not mean I will only do what is scheduled. I must do those things on the calendar and then handle all the other items as they arrive or they must be prioritized. My struggle is not with prioritizing but with the fact that everything is important and has to be done but I can't find the time to get it all done. However, there are items that are urgent. These must be done first. 2. 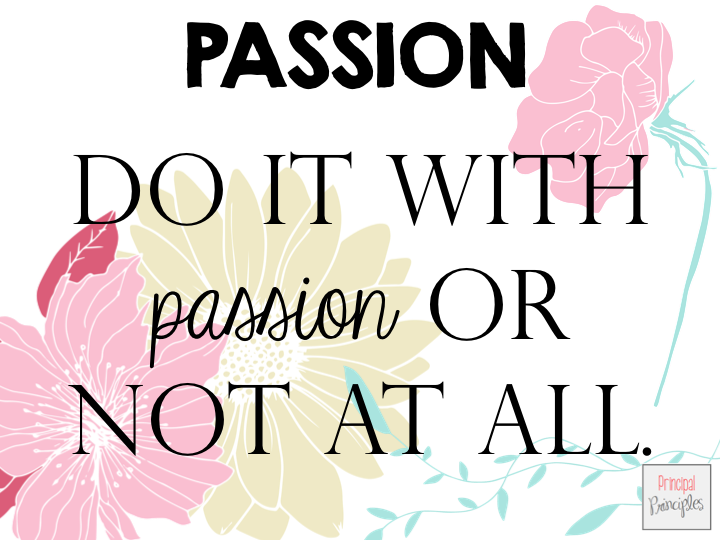 Lead with Passion- Passion means being able to take the frustration, the roadblocks, the disappointments, and the endless stress and still want to come to work each day determined. Your burning desire to make a difference will help you accomplish the tasks at hand. Without this passionate commitment you will not last. We all have a drive or force to be successful inside of us. We all want excellence in everything we do. That is your passion resonating inside of you. Passion is your energy. 3. Knowledge- Your knowledge of things such as standards, instruction, effective teaching practices, laws, etc... can help save you time. Be a self-learner. Know your stuff! It will save you time. Lots of time. 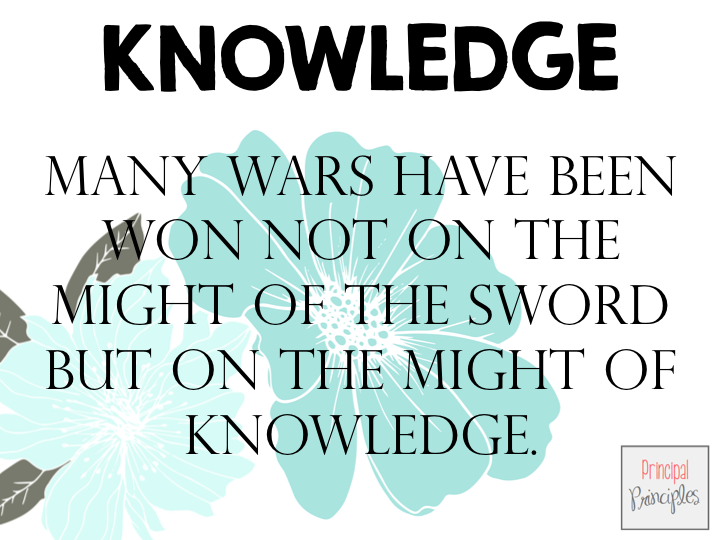 Knowledge gives you advantage. It doesn't matter who you are or what you are doing. All that matters is how much knowledge you have. 4. Take Care of Yourself- The duties and responsibilities of the position can simply be overwhelming. If you don't take care of yourself over the years, you will feel frustrated. This can lead to burn out and a very unhealthy body and mind. Laugh when there is a funny moment. Smile when there is something to smile about. 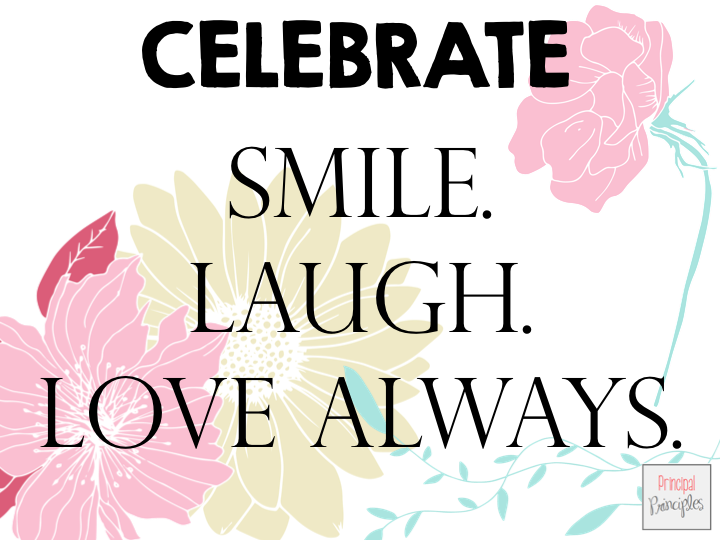 Celebrate the joys and accomplishments as they happen. Failure will happen. Success will happen. Celebrate both. Celebrate the little things. Rejoice in the big things. Learn from the mistakes. When you do this, you are taking care of your body and mind. 5. Organized- I'm a bit of OCD when it comes to this. Everything should and does have its place. 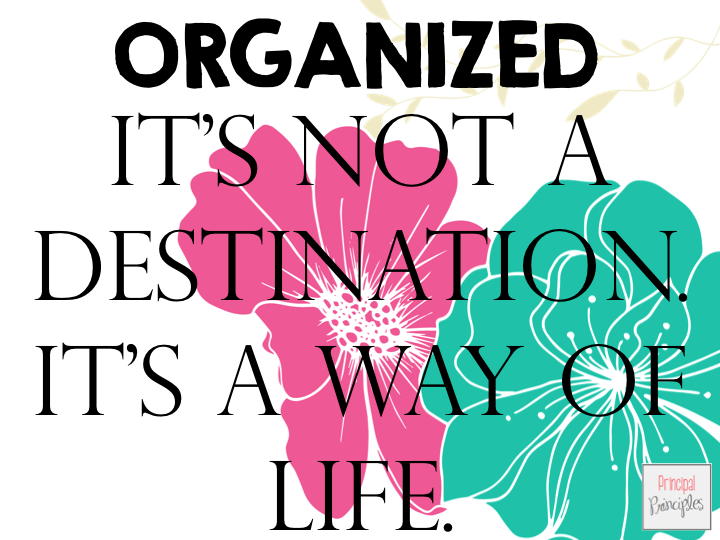 Being organized and staying organized is a process. At the end of each day, I file or trash items that were accomplished during the day. Being an organized principal can help you from falling behind. You can walk in each day and hit the floor running or you can be a hot mess searching for what you need. Trust me- being a principal comes with mountains of paperwork. You need a system to stay on track with it all. One item I cannot live without is a planner or principal binder. It has saved my life. If you need help, check out the binder.